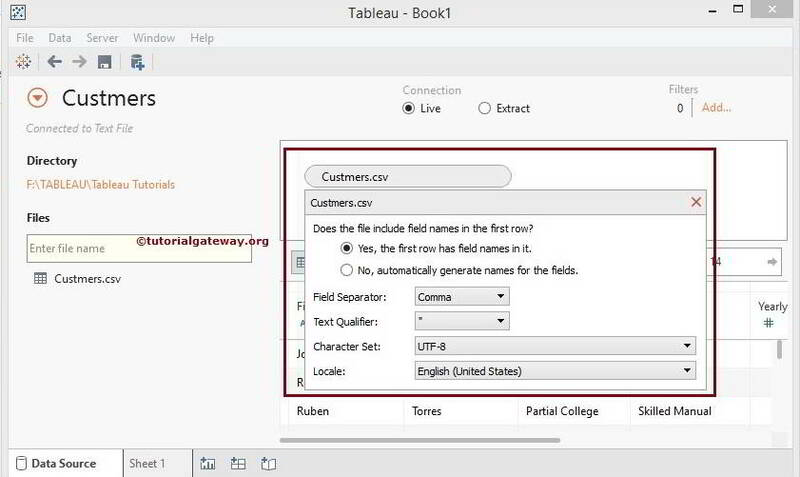 In this article we will show you, How to connect Tableau to Text Files, and how to use the data present in Text Files (such as .txt, .csv, .tab, .tsv) as Tableau Data Source with an example. 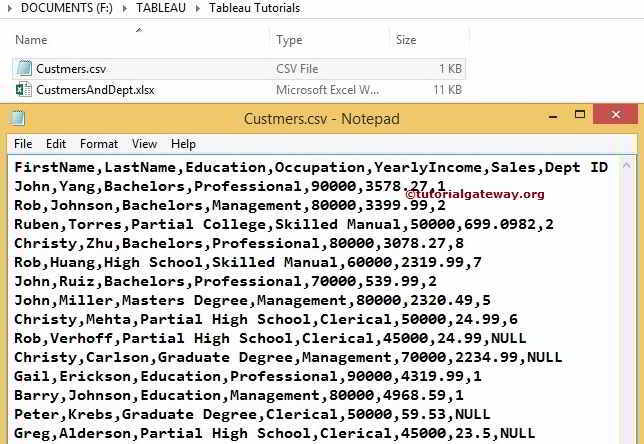 Directory: This section will display the Directory address of the selected Text File. In short, it will display File Path. Drag Sheets Here: You have to Drag File(s) from Files to this Section. 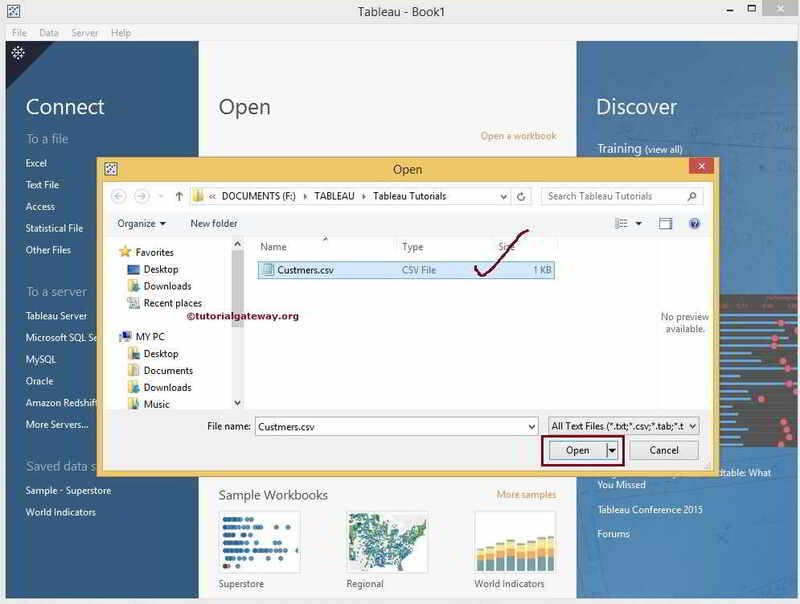 Tableau will only use the files present in this area. This is something like Dataset. 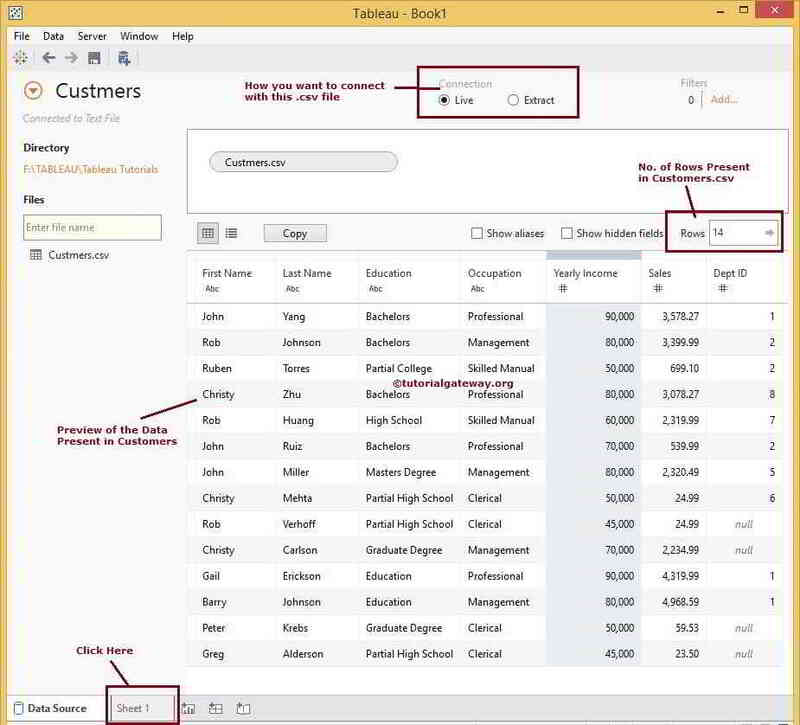 Once you dragged the Customers file, Preview region will display the data present in that .csv file. Please refer below screenshot to understand the different areas. We will discuss the Connections part in another article. Oops, We forgot to tell you the most important property called Info. Does the file includes field names in the First Row? 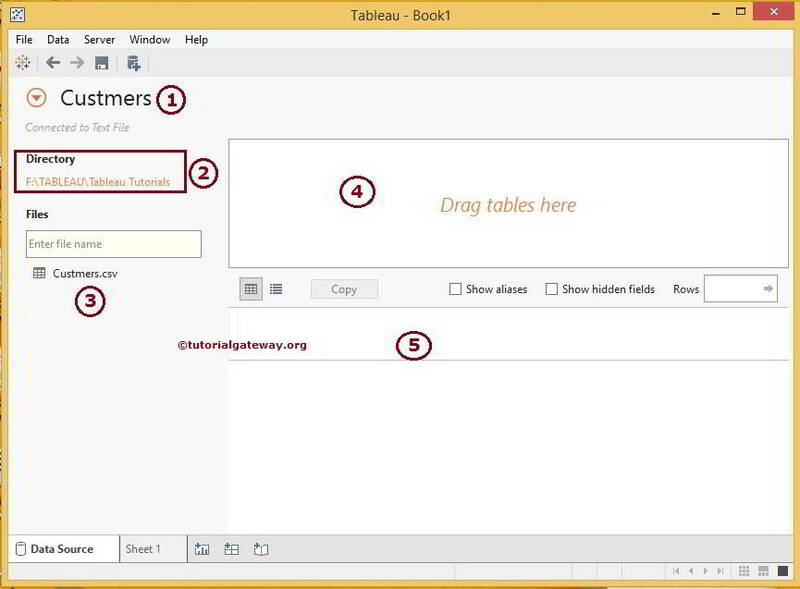 : We have to specify, whether the selected text file contains column names in the first row or not. By default, this option is selected as YES but change as per your file requirements. 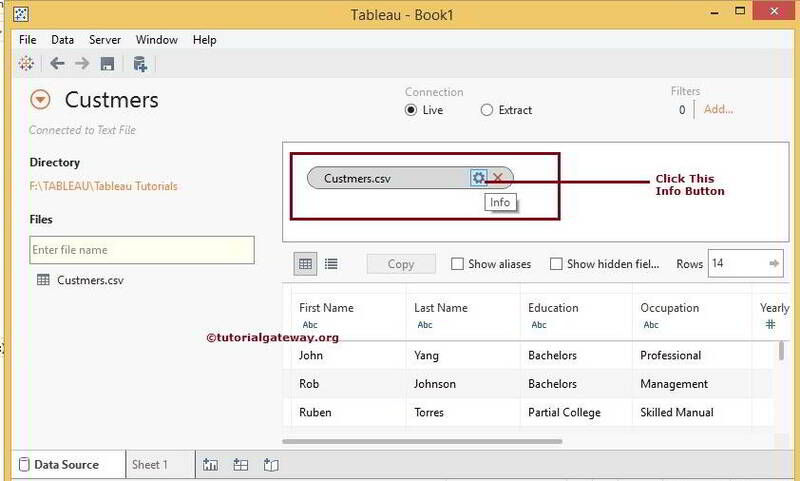 Filed Separator: Please select the character that is used to separate the columns in the text file. If the character is not present in the list, select Other and type a custom character. Text Qualifier: Please specify the text qualifier used to encloses values in our selected Text File. Character Set: Please select the character set that describes the text file encoding. 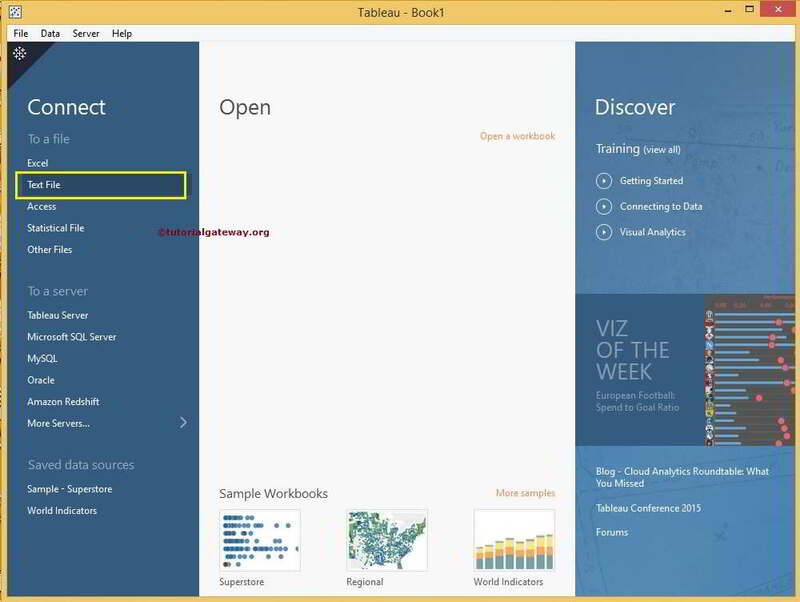 Mostly Tableau will detect it for you, If not, Please change it manually. 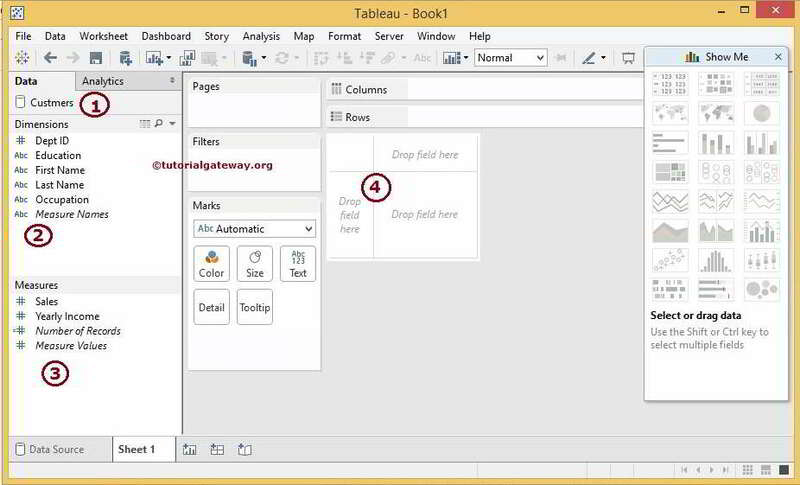 Once you are finished, Click on the Sheet 1 tab to design the report. Data: This will display the list of currently connected data Sources. We have only one at this time otherwise, it will display all the data sources available.